I was born with spina bifida and I am paralysed from the waist down, so I rely on a wheelchair to get from A to B. But I don’t let this stop me from doing the things I love - I’ve been a wheelchair basketball player for years. I enjoy the camaraderie, the laughs, keeping fit. Just being part of a team. It’s good to have people around you who have got differing disabilities and are facing adversity as well. 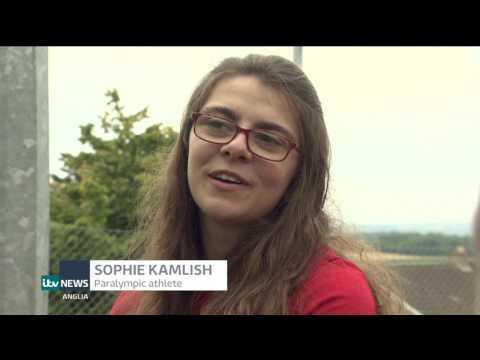 Fixers is helping me with my campaign to get more disability sports shown on mainstream TV. We have the Paralympics every four years and the Invictus Games every two years. But there’s so much more to disability sports than those two. I don’t think the general public realise that disability sports happen 365 days a year - but none of that gets covered. Simeon Wakely and Sophie Kamlish helped me with this Fix. Julie Anne Harding supported me with this Fix.